So, German Subject and Object sentences are a rather neglected part of German subordinate clauses. 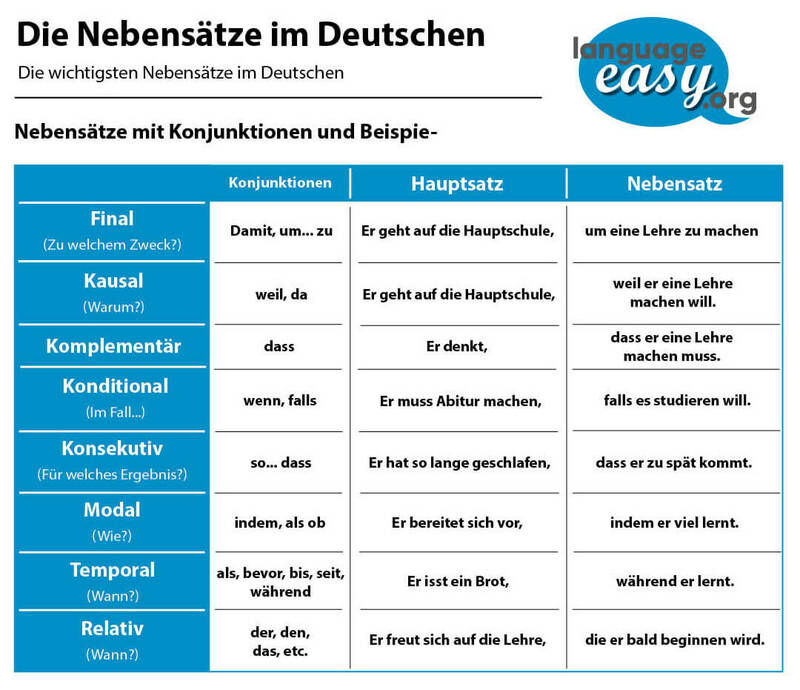 Although this type of clauses is not mentioned too often in German grammar books you will see that is an essential part you should master anyway: It will occur in written and spoken German language. By the way, there is an article on Wikipedia that can give you some background information about German Subject and Object clauses. So, in the following I’d like to describe what German subject and object clauses actually are. Furthermore, we will go into some detail about each of these types of clauses and give examples. So, let’s not loose too much time and come straight to the first part of this article. Los geht’s! First of all we will describe what German subject and object clauses actually are. Normally, the subject or the object of a sentence are nouns or pronouns. But, in some cases, a subordinate clause can replace the subject of object. So, have a look at the following description of the German objective clause. Of course, we will talk about German subject clauses after that. So, the German object clause is a subordinate sentence which replaces the object of a sentence. Well, is replaces each type of object, no matter if its a genitive, dative or accusative one. For those of you who know how to deal with the approach of understanding of sentence elements: The question for a German object clause is logically “Wessen? / Wem? / Wen? / Was?“. Well, as you already might have thought, the German subject clause is a subordinate clause that replaces the subject of a sentence. So, in this case, that question you have to ask in order to determine this element is “Wer? / Was?“. Just have a look at the following examples. Wer den Mund aufmacht, wird bestraft. Es ist doch klar, dass ich es nicht gewesen bin!